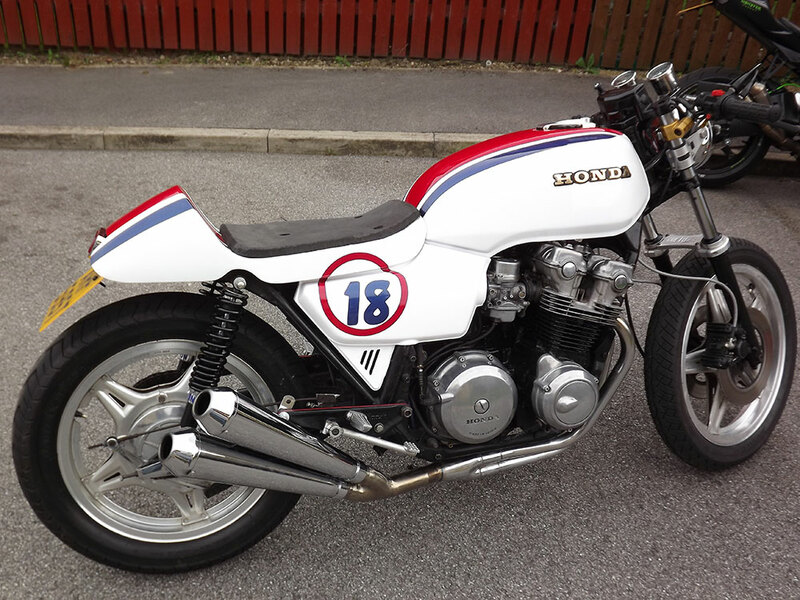 On this Honda CB750 KZ bike we designed and made a specific seat for a customer. After creating a fibreglass mould and then making the seat in fibreglass it was ready for painting. The only decision the customer made was the paint work which was completed by our in house painter (and owner!) Tony using the old HRC colours. The end of the frame rails were removed and then braced across the frame so that seat and light mounts could be made. We also added our chrome megaphone exhaust to give the Honda CB750 KZ that classic Cafe Racer look and to make sure the bike sounded as awesome as it was!